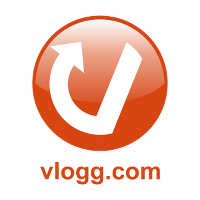 We are proud to announce that starting today our Google+ news site has moved under a new domain vlogg.com with a new look and feel. We started this Google+ news site over two years ago since Google+ was available only to a small group of private beta users. Since then we have passionately covered every little news and updates happened in this brand new social network (Google+ recently celebrated its second anniversary). Over the past two years, millions have visited us and enjoyed the news, feature announcements, hangouts, tips & tricks, how to guides, etc., shared with the community. Now it is time to do even more. So we decided to move to a shorter and easy to remember domain name vlogg.com, a new look and then besides Google+, we are planning to cover news about Google, its amazing products and all other interesting news happening in and around Google. We kindly request your cooperation during this transition and welcome your suggestions and feedback to better serve the community. Please share your valuable thoughts and feedback through comments section below.